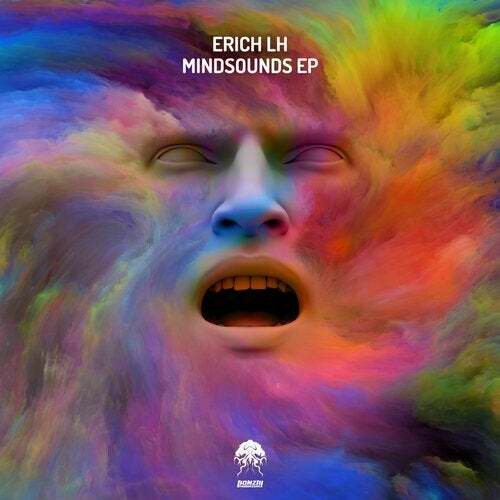 Erich Ledesma Hauser aka Erich LH debuts on Bonzai Progressive with an exciting, vibrant three track EP titled Mindsounds. Argentina native Erich grew up with a strong love of music, he used to play out sounds with his Casio SA-1 piano and this is where he felt the power music has on the soul. Through the 80's and 90's he enjoyed the tunes of the era, soaking up the groove and gaining knowledge that would be useful in later years. In 2002 he found the magical allure of electronic music and the real adventure began for him. In 2010 he released his first effort titled Rain and from there he has appeared on a whole host of top-quality labels. He taught himself to DJ and he was rewarded with gigs at local clubs which led to appearances at bigger events all over Cordoba. In 2011 he started his own radioshow called Exorbitant on Frisky Radio. A pleasure to have him on board, this guy is one to watch for sure. We kick off this EP with the fantastic deep progressive mover, Woodland. Nice chunky beats greet us on the intro before a warm, mesmerizing bassline comes through to set us on an epic journey filled with colourful sounds and a solid groove. The track weaves its way into your soul, rich pads and striking synths create subtle melodic flurries. On the break the sounds converge en-mass to create a truly ethereal experience that is only broken by the return of the tight beats and that melting bassline. An absolute must have track in the crate. Origin delivers a more upbeat, energetic vibe thanks to upfront beats and some superb synth FX. Free flowing atmospherics fill the spectrum as mesmeric pads rise and fall alongside melodic sequences that draw us in. The composition grows and grows with plucky notes and arps combining beautifully to the backdrop of a probing bassline. The break sends shivers down your spine as melodies intertwine with a captivating spoken vocal over the top and then we're back to full-on mode for the duration. Definite dancefloor destroyer, not to be missed. Valley Of Dreams really does live up to its name as we're taken deep into dreamland with a perfectly crafted piece that captures the imagination. Striking melodic notes sit on a bed of shuffling hi hats and chunky beats while a sub level bass shores the groove up, locking us in. The break reveals a sublime sequence that hypnotizes with beautiful melancholy and a building energy that is released with an intense climax into a deep progressive mover. Just the fodder to get the crowd into a frenzy, this one will not disappoint.